The picture of my younger sister and I was taken where it all started for me and ended for my father. I was the youngest of 3 children till my younger sister came along when I was 13 years old. The picture of the house that my dad built on page 4 and this picture is of where I was raised. In my early years I can remember when we first moved onto this piece of land with the Cherry Orchard, we first lived in a 3 room house that you could see daylight through the walls. "Once when mom and dad was in town (12 miles from where we lived) a big bear came up onto the front porch to get into the apple barrel kept there while my older sister, brother and I were home alone. We were scared, but the bear just ate its fill of apples and left." 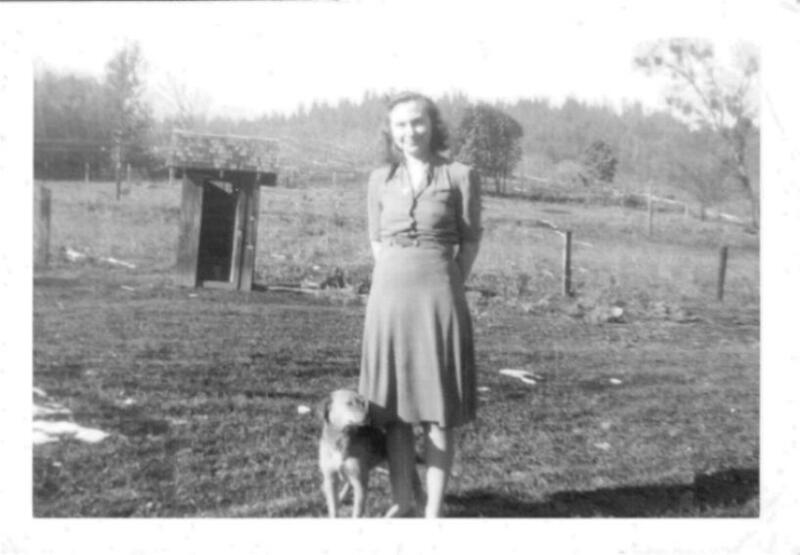 There was an old "Out House" (in picture above with my mom) that was over a 100 feet from the front door (in the winter when the snow could be 4 to 5 feet deep it made it kind of rough), no electritity, no running water and no phone. Our bath's were taken in an old metal tub and the water had to be heated on a wood stove. The water was stored in a wooden barrel that was kept in the shade on the front porch and had to be hauled in the back of dad's pickup from the creek that was at the foot of our property. Mom had an old washing machine that us kids (my older sister, brother and I) would take turns pushing and pulling the wooden handle that worked the agitator for washing the clothes. That was one step better than the tub and wash board. To some readers this may sound like a hard life, but really it was not. 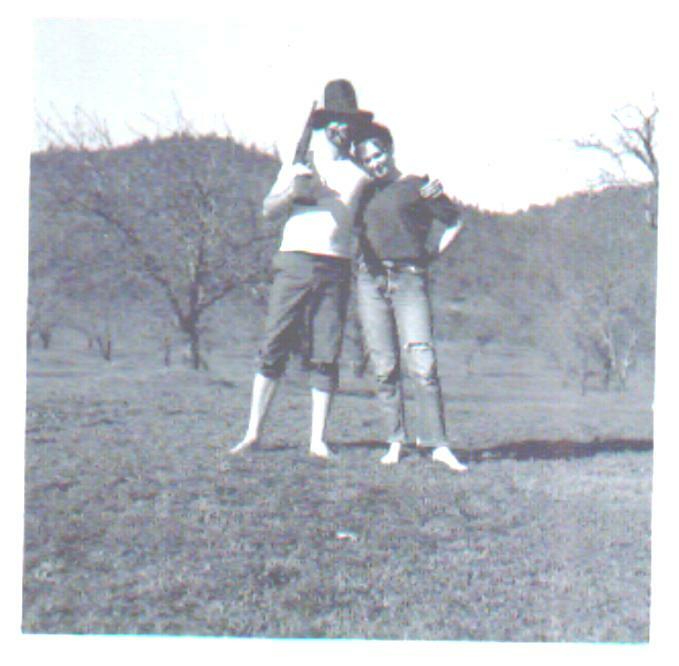 There are many happy memories from back then and our family grew to be very close. There has been several times in the near past that I wished that my own children could have enjoyed growing up during a time when all we had was each other and we had the time to do things together. I feel that I was lucky. By the way, my dad kept the old "out house" around long after the new house was built, the old house tore down, and we had indoor plumbing. It took me a long time to understand why my dad would do that, but now that I am older and I look back at some of my happiest memories I understand. 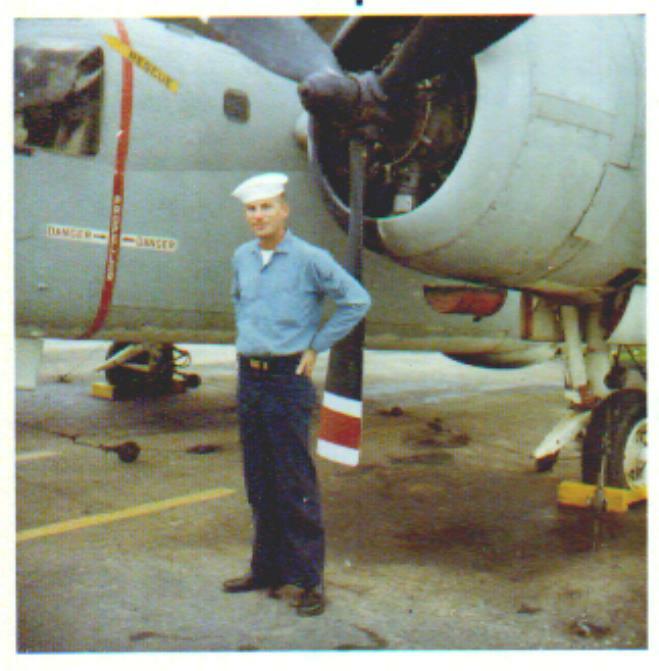 In 1955 I joined the Navy and spent 20 years as an aircraft mechanic. 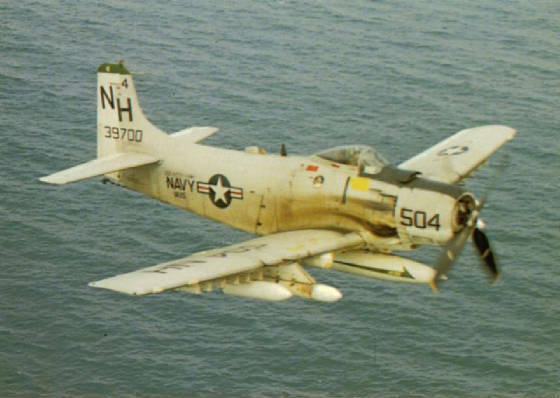 Pulled several tours aboard Aircraft Carriers, 3 trips to Vietnam and spent many hours in the air in which I had the great pleasure of seeing some of our beautiful world. 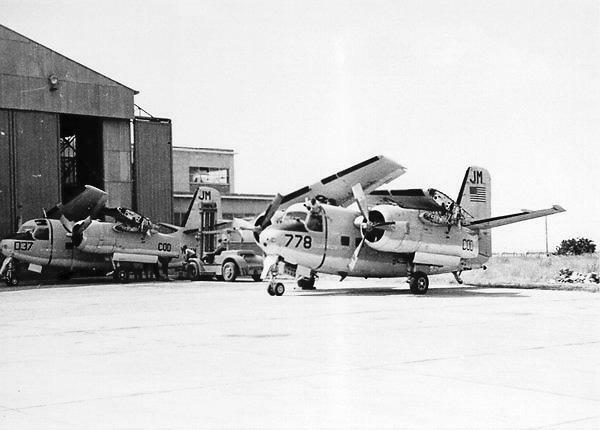 My last 4 years with aviation was spent at Whiting Field (close to Pensacola, Florida) where I was in charge of an Aircraft Engine Component Repair Shop. I was also the only "Stud Mechanic" on the Base that was qualified to make repares on the Aircraft that would have otherwise meant an Engine change if not fixed, and I did this for all the Squadrons on base. 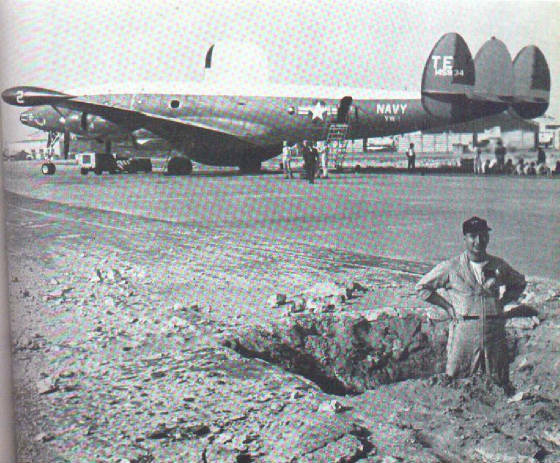 The first photo below was taken in Nam and the Pilot is standing in a hole made by a Mortar Shell. When we were not flying Early Warning in Nam we could find ourselves flying into the middle of a Typhoon out over the Pacific. On one such flight one of our planes entered a bad Typhoon that tore off several feet of Wing Tip, including the Fuel Tip Tank. 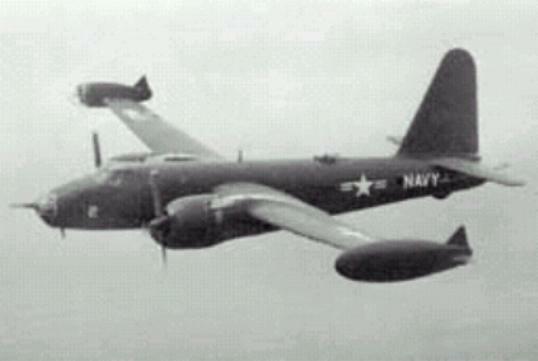 The aircraft was miles out over the Pacific and the crew called in a "May Day" figuring that they were going to go down. They were losing fuel and had loose electrical wires causing sparks. A rescue aircraft was dispached to the scene to give assistance. The crew choose to stay with the damaged aircraft and flew it all the way home. The next picture is of me taken not many years before my retirement from the Military. All the rest of aircraft are ones I worked and flew on. The ships I served aboard are shown below. 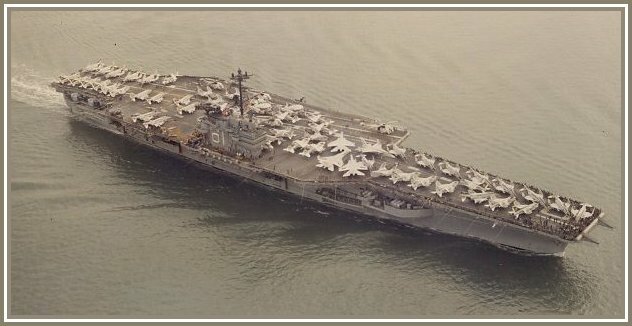 #1 was the USS Ranger CVA-61 of which I was a Plank Owner (one of the first crew members to ever serve aboard her) Aug 10th 1957. 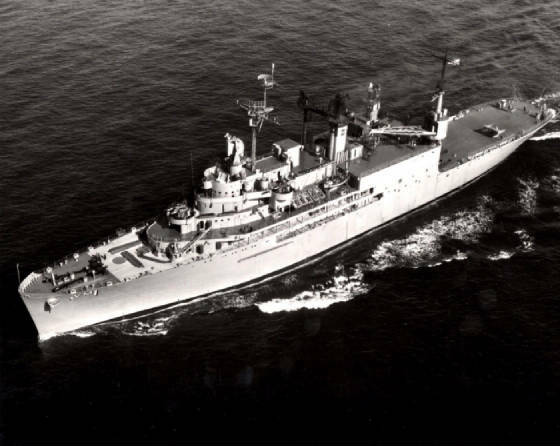 The second ship was the USS Norton Sound AV-1 (Guided Missile Test Ship) 1959-1960. 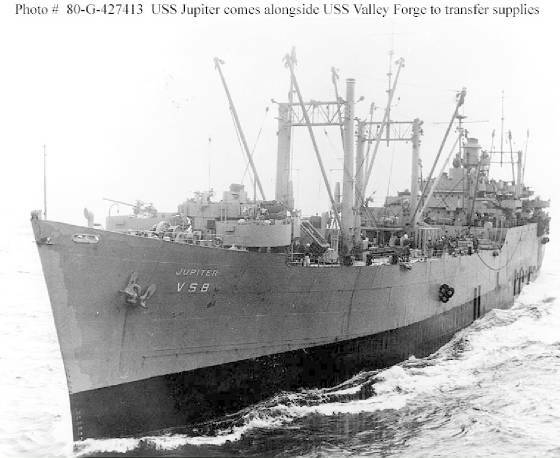 The third ship is the USS Jupiter AVS-8, known as the Crazy 8, home ported in Yokosaka, Japan (Aviation Supply Ship) 1960-1961. 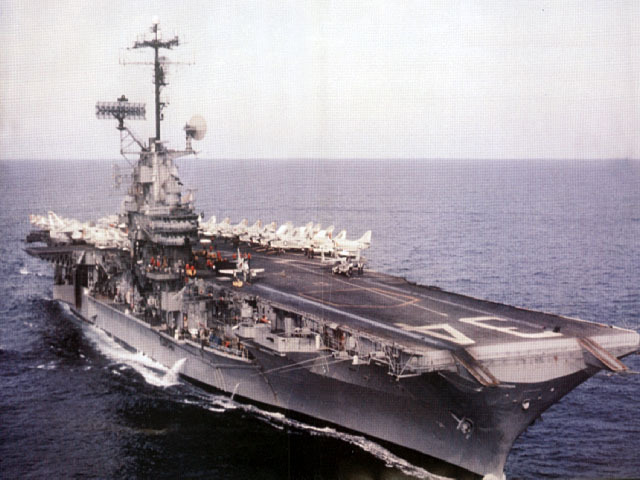 The fourth and fifth ships are the USS Oriskany CVA-34 1967-1968. 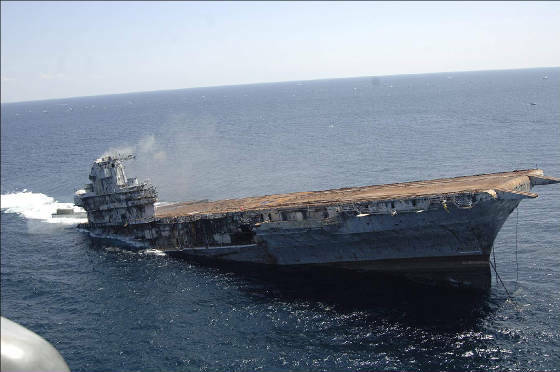 The fifth picture of course was the death of the Oriskany as she sank 20 some miles from Pensacola, Florida (she was a great lady) 2006. I can honestly say, "its been a good life". 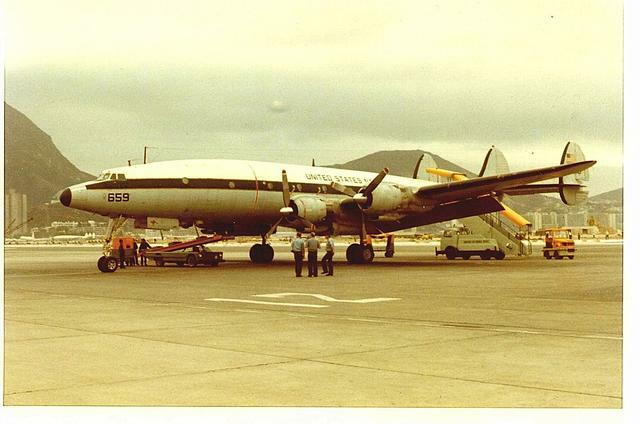 "C121 Super Connie" VW-1 Viet Nam. 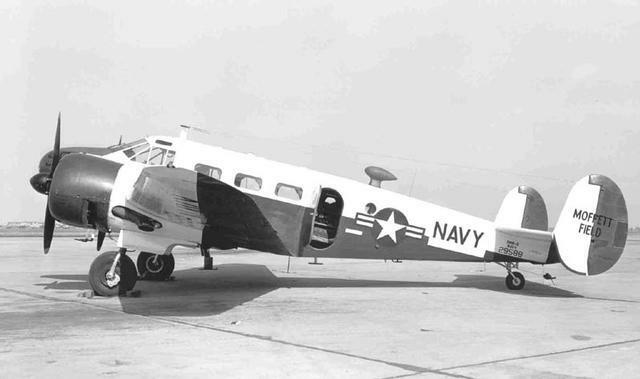 "C1A" Same aircraft as above. "C121" Aircraft that replaced the C54 at Tachikawa, Japan. 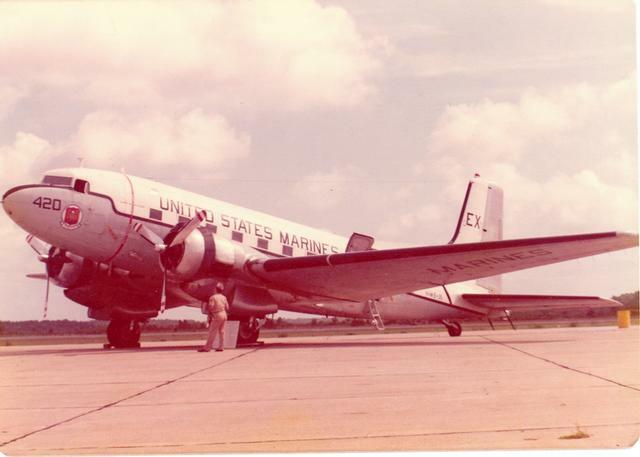 "C124" I have worked on and flown in this aircraft even tho it is not a Navy plane. "SNB" As the one of the station aircraft at Miramar I put a lot of time in one of these. 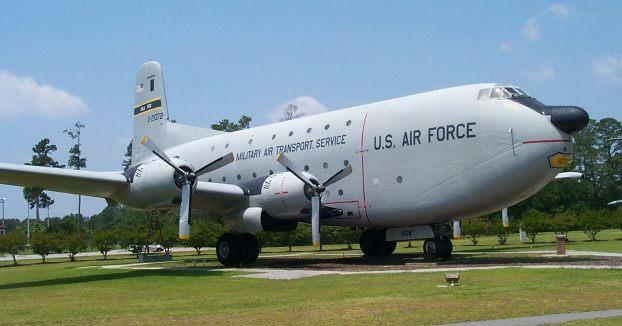 "C117" I flew as Plane Captian and would relieve the co-pilot on long flights. "A1H" Even tho I've never got to fly in one of these they were my favorite. 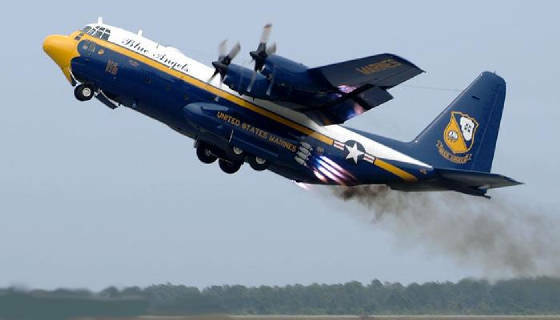 "C130" I helped to do the acceptance inspection on Fat Albert in 1973 for the Angels.